How do I open a RAR file? 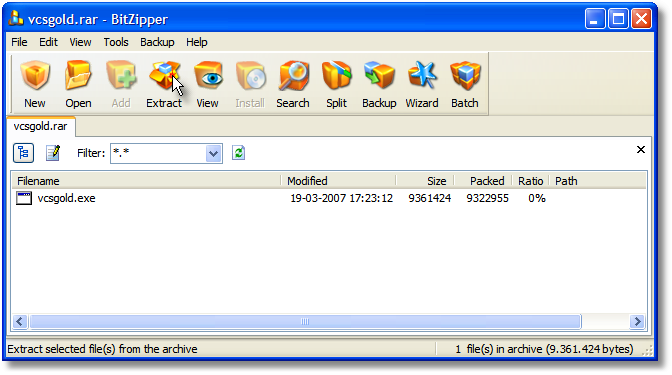 Open RAR files with BitZipper! Need to open a RAR file? Then you have come to the right place! To access files stored in a RAR archive, you need a RAR file extractor that can read them. BitZipper is such a tool. It reads RAR files and 46 other archive types. 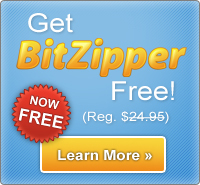 After installing BitZipper, you can open a RAR file simply by double-clicking it, by right-clicking on it in Windows Explorer, or by starting BitZipper and opening the ZIP file the same way you open a document in your word processor. It really is very easy. A RAR file is a collection of documents, programs or other files that have been reduced in size and bundled together in a single compressed file (called an 'archive'). This is done to ease distribution on the Internet and to reduce download time. The RAR file format is similar to the more well known ZIP file format, with the main difference between RAR and ZIP being that RAR compresses files slightly better. RAR (Roshal Archive) is named after the inventor of the format, Eugene Roshal. After clicking Extract, a screen is displayed where you need to decide where to store the files you are extracting from the RAR archive. 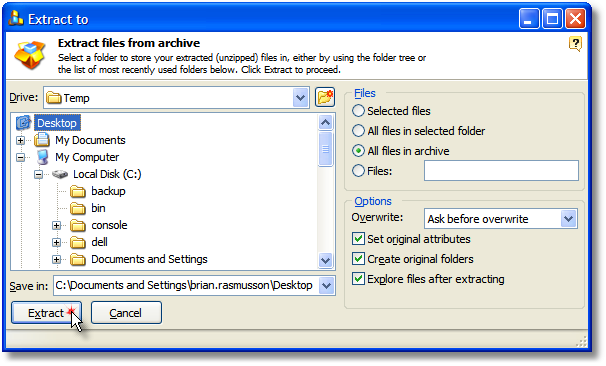 Also make sure that the 'All files in archive' option is selected if you wish to extract all files from the RAR file. Click Extract to proceed. That's it! You have opened and extracted files from a RAR file. BitZipper can decompress files using 44 different compression formats without requiring any external tools, so it is highly unlikely that you will come across any compressed file that you cannot decompress with BitZipper if you decide to buy it. The step-by-step tutorial above applies for all types of files that BitZipper supports: 001, 7Z, ACE, ARC, ARJ, BH, BZIP2, BZ2, CAB, CHM, CHW, CPIO, DEB, DMG, DOC, ENC, EXE, GZ, GZIP, HFS, HXS, ISO, JAR, LHA, LZH, LZMA, MSI, PPT, RAR, RPM, TAR, TBZ, TGZ, UU, UUE, WAR, WinRAR, WIM, XAR, XXE, XLS, Z, ZIP, ZOO - with more to come!